This is a dual-chip thermoelectric Peltier refrigeration TEC1-12706 cooler. Its working voltage is DC 12V, and the power is 144W. The cooler adopts TEC1-12706 semiconductor chilling plate, so it has outstanding effect. 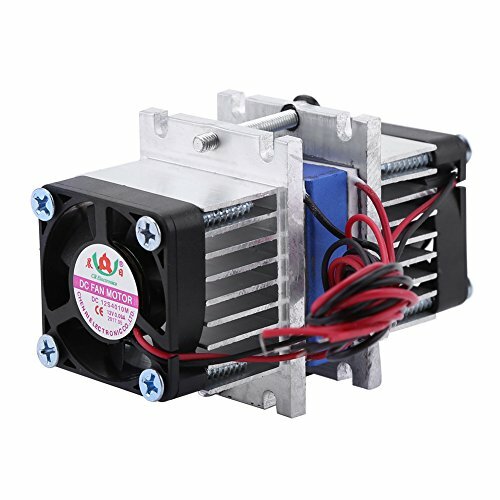 It is a great product for electronic enthusiasts in DIY semiconductor cooling system. With this kit, you can make cooling system for yourself conveniently. And you can choose to purchase a single cooler or a set of cooler kit according to your need.